In a conference weekend replete with intellectual attractions and networking opportunities focused on oft-elusive "digital skills for public historians), I made sure to sign up for a walking tour which piqued my interest: Portland’s Park Blocks: Defining a City by its Open Spaces. The following few sentences are adapted directly from the tour description: The tour began with a brief (but fascinating) presentation on the founding of Portland’s park system from the first public spaces in the 1850’s to the Olmstead Bros. 1903 parks plan. 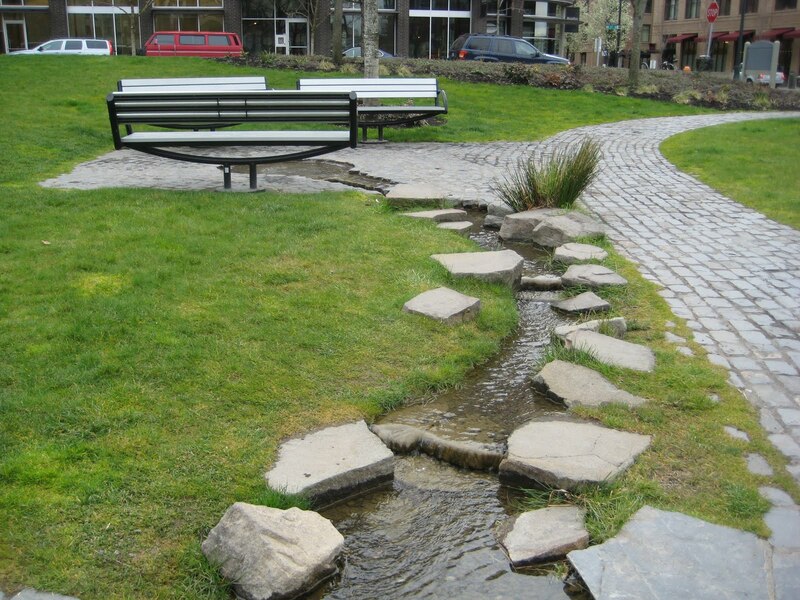 The Park Blocks, north and south, formed the open space “spine” of the city initially as a fire break and then as a pattern for urban development in the central city and later in the 21st century a model for linear parks in the River District Urban Renewal Area known as the Pearl District. The tour will begin in the South Park Blocks and walk through the Mid-Town Blocks to the North park Blocks and end at Tanner Springs Park in the Pearl District. Led by Henry Kunowski, architectural historian. Portland's parks are excellent examples of the "useful" urban greenspace which offers sojourners not a sense of wonder, but at least a brief repose and separation from an environment governed purely by human ambition. 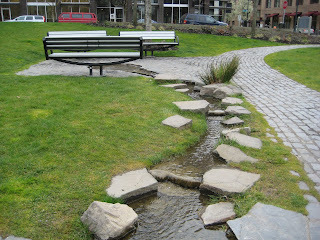 Portland's most modern parks, seek to uncover and reveal the nature beneath the city's domesticity. In doing so, they provide spaces both to admire the artistic vision of some rather clever landscape architects and to contemplate the coming together of a place (the wetland valley itself) and purpose (industry, trade) resulting in the contemporary space of the city. I will close with a link to one of my favorite poems by Andrew Marvell, The Garden. Andrew had a keen sense of the human desire for otherness so often sought in parks and gardens and yet the ever-present hand of a creator in such places, melding wild-ness with order and design.